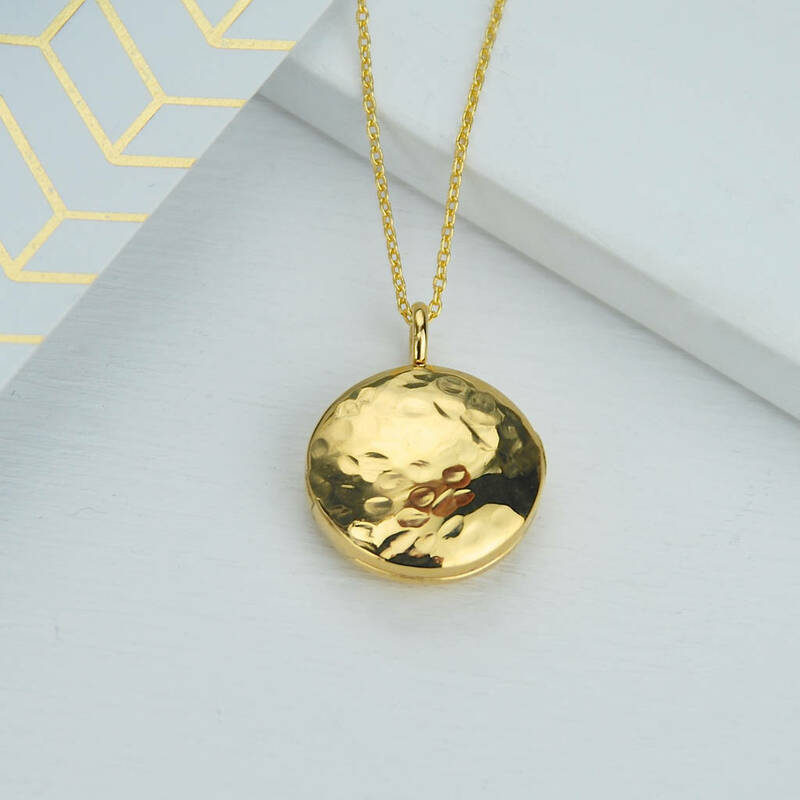 Exquisite contemporary locket in a choice of lightly hammered metal finishes, a beautiful jewellery gift engraved on the reverse with initial letters of choice. The locket has always been a treasured and highly sought after piece of jewellery and our sterling silver hammered locket, available in a choice of finishes, is a contemporary classic. 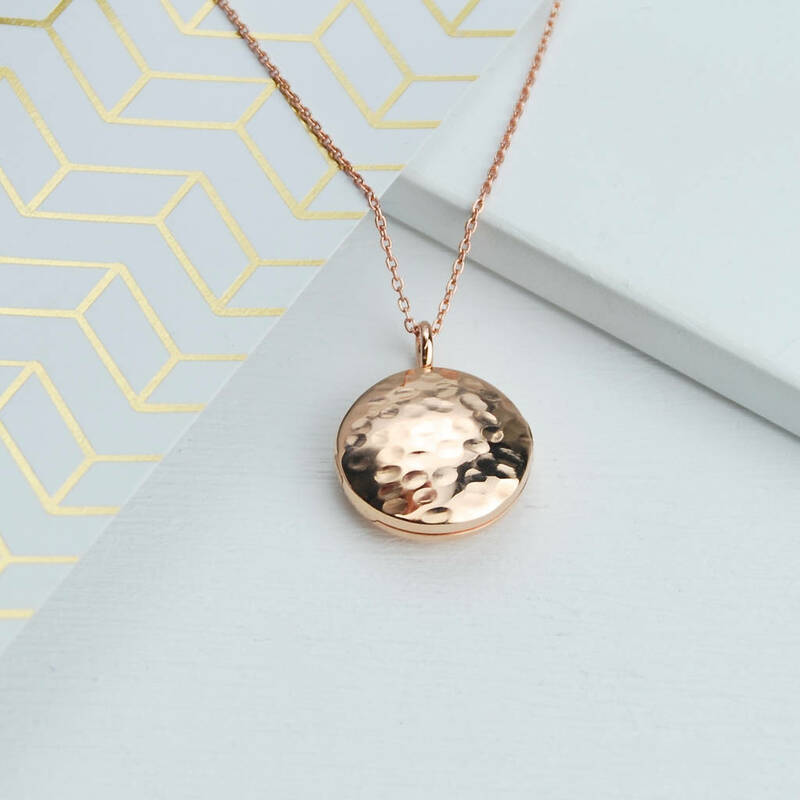 The sterling silver, rose gold or gold locket features a gently hammered front with a plain reverse ready for us to engrave with your initials of choice. 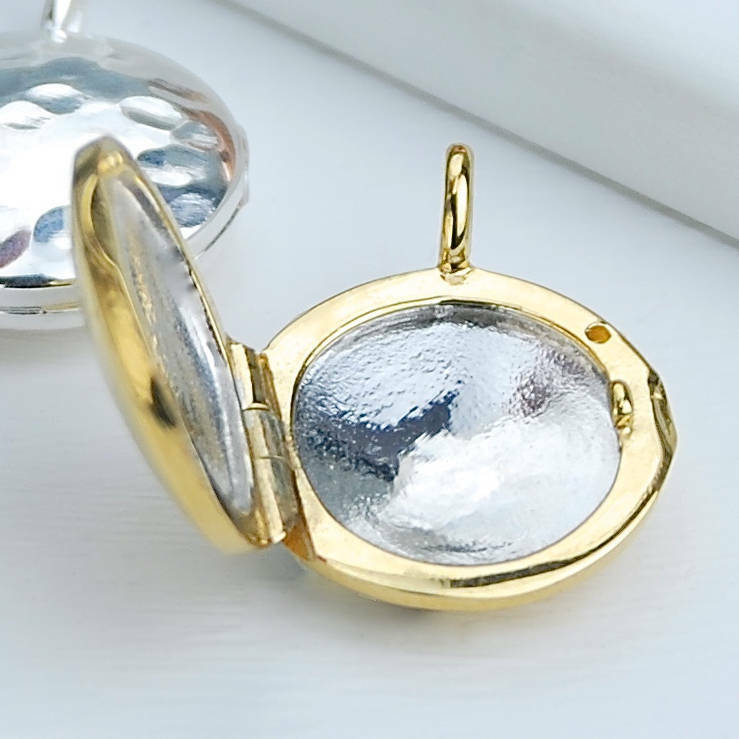 The locket opens with tiny clasp to show a slightly concave interior for a small photo, a lock of hair or other tiny memento. 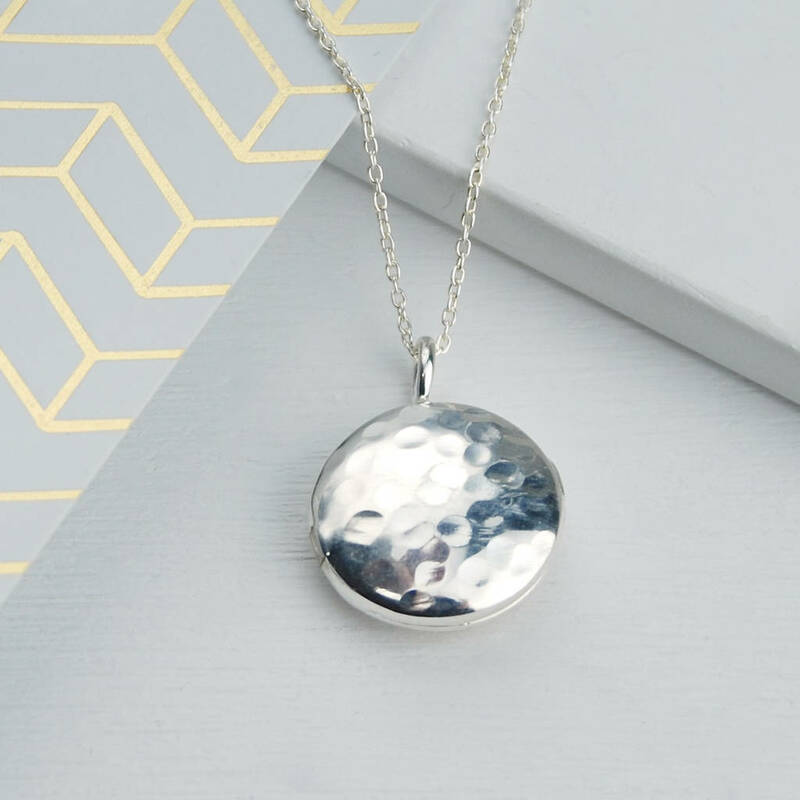 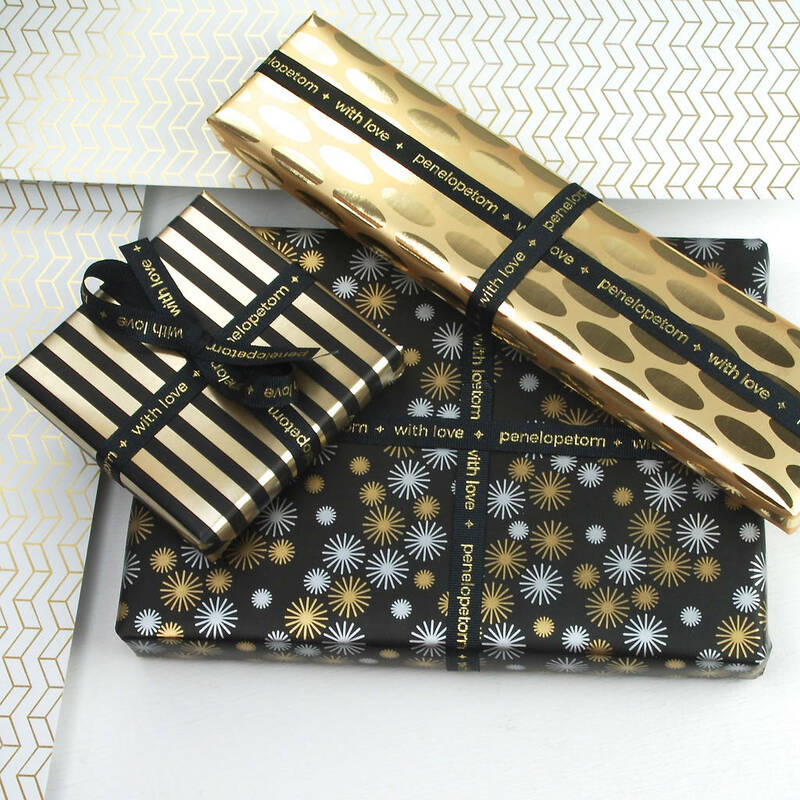 The perfect gift for a very special female. 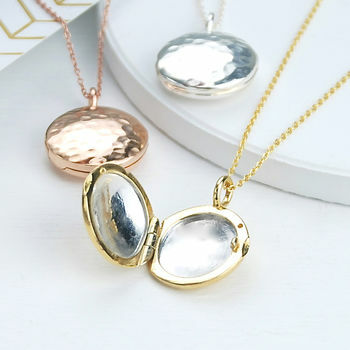 A unique first child present. 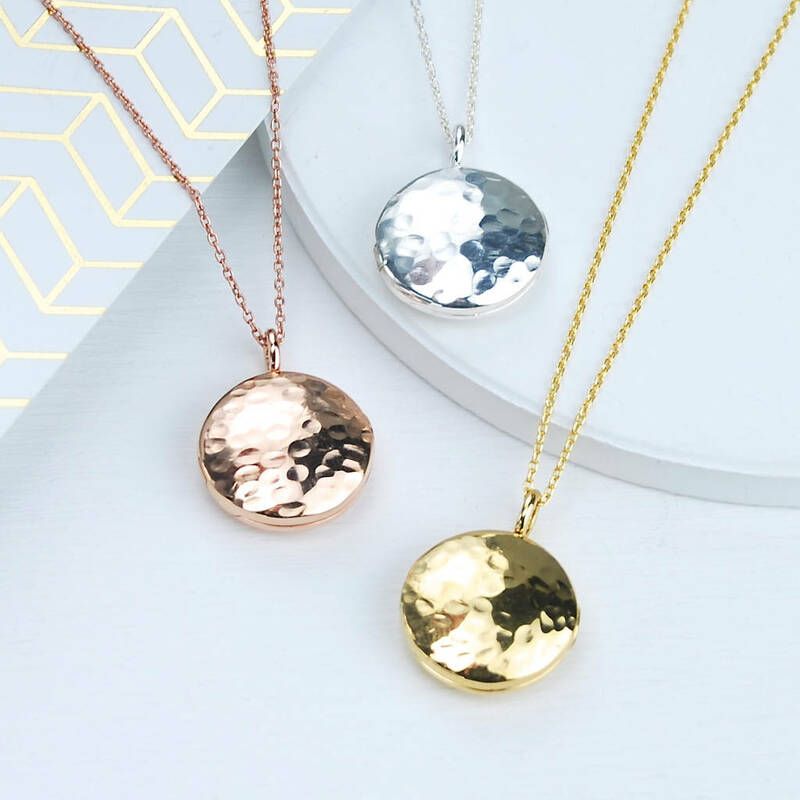 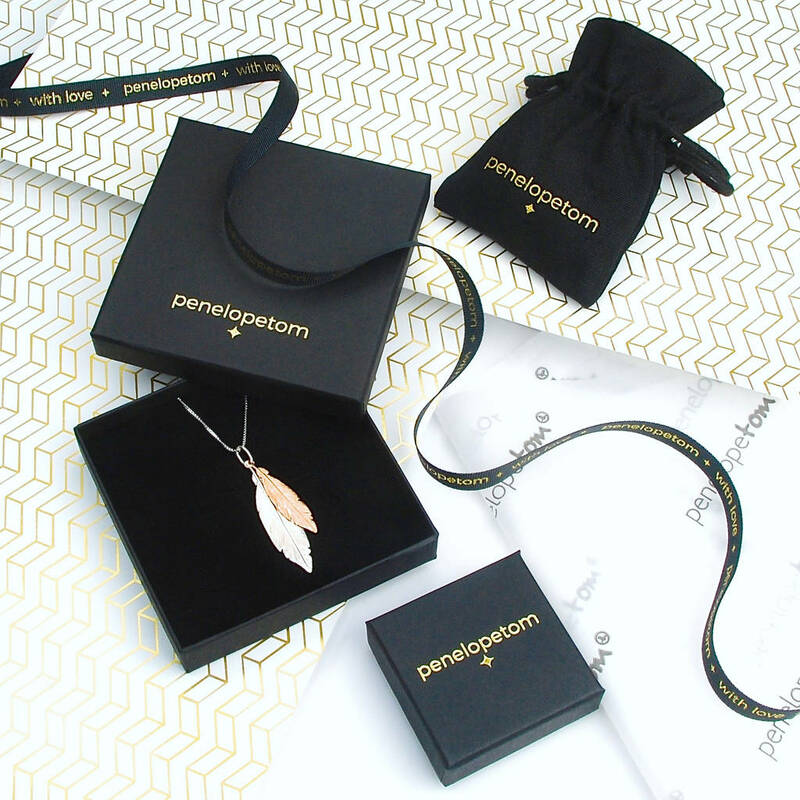 Available in a choice of sterling silver, or 18ct yellow or rose gold vermeil. 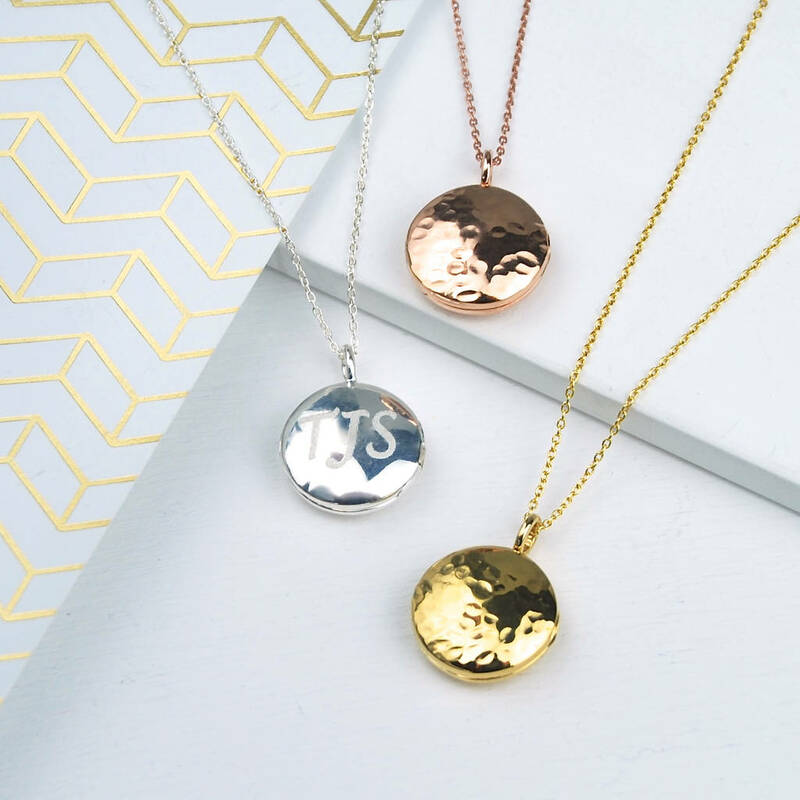 The locket can be beautifully hand engraved on the rear with up to three initial letters engraved in a Lucinda handwriting font.